If you're in the market for affordable wireless on-ear headphones, the Jabra Move Wireless offers excellent battery life and a compact build. While the cans lack folding hinges, they're unlikely to take up much space in a backpack unless you have a Fjällräven one. Jabra brought us the best true wireless earbuds, the Elite 65t and recently updated its popular Move Wireless headphones with the Jabra Move Style Edition. This fashionable pair of cans features improved battery life and additional colorways over the older model. As far as on-ear headphones are concerned, these are remarkably comfortable and easy to transport despite the lack of folding hinges. Editor’s note: this review was updated on April 9, 2019, to reflect new objective testing methods. Who is the Jabra Move Wireless for? The Jabra Move Wireless Style Edition headphones aren’t comfortable with glasses, but feel great without them. Anyone who needs a pair of headphones and doesn’t want to stretch her wallet should consider these headphones. 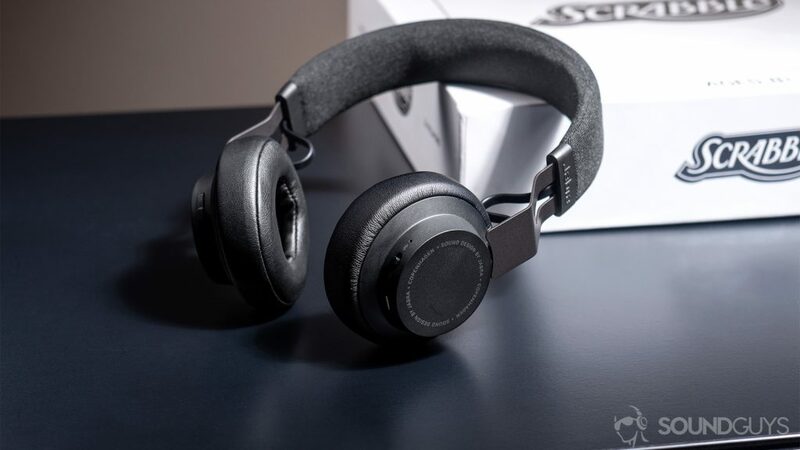 As the name implies, these are great for on-the-go listeners who don’t have time to untangle wires and don’t have the backpack real estate for full-fledged over-ear headphones. As lightweight as these headphones are, they pack a beefy battery which affords more than half a day of listening. A cloth wrap covers the adjustable stainless steel headband. Construction quality is pleasantly premium with a stainless steel headband blanketed by slightly cushioned cloth wrap. The headband is adjustable via a basic sliding mechanism which works smoothly and retains its position even with moderate movement. Suspended from the angular yolks are plastic ear cups, each of which houses a 40mm . PU leather makes up the thin yet comfortable ear pads, and the left ear cup houses a 3.5mm input along with playback controls. On the other ear cup, however, is a power and Bluetooth pairing slider running across the same plane as the micro-USB port. If you wear glasses as I often do, you’ll find these to be uncomfortable. However, when wearing contacts, these are some of the more enjoyable on-ear headphones to use. By pressing the raised multi-function button on the left ear cup, listeners may access their respective virtual assistants. While this is different from complete Google Assistant integration, it does the trick for basic commands. The omnidirectional microphone effectively picks up my voice during calls; friends made sure to tell me I came through loud and clear with only some background noise. The headphones are lightweight and easy to pack in a bag, despite an absence of folding hinges. The playback controls are much appreciated; however, they’re rather small and easy to accidentally press one instead of the other. It’s a bit of a nitpick, but it happened enough times throw out there. While there are plenty of people who enjoy workout headphones, these aren’t great for exercise. For one, there’s no mention of water-resistance. If you do sweat and something gets damaged, it’s not covered by the one-year warranty. Aside from that, though, the headphone clamping force isn’t enough for intense movement. While this makes it more comfortable, and preferred, for daily listening, it may send the headphones shaking about during a run. If you must have a pair of on-ear headphones for exercise, check out the Plantronics BackBeat 500 Fit. They’re not very comfortable for long-term listening, but they do the trick for a variety of workouts and boast large, accessible onboard controls. Charging via micro-USB requires ~1.5 hours and allows for over 12 hours of playback. Jabra claims a 14-hour battery life for the headphones; however, our objective testing squeezed out 12.75 hours of constant playback. Initially, this may seem disappointing, but our testing is likely louder—75dB(SPL)—than a volume most choose. In which case, close to 14 hours of playback does seem realistic. It takes approximately 1.5 hours to charge the headphones via the included micro-USB cable. Sure, it’s not USB-C charging, but it keeps costs low. The Jabra Move Wireless Style Edition operates via Bluetooth 4.0 and has a 10-meter wireless range. Unfortunately, it lacks any high-quality codec support, so audio-visual lag is apparent. However, what it lacks in Bluetooth codec quality, it makes up for with general connectivity by allowing for eight devices to be paired with two simultaneously connected. Switching between the dual-connected devices is easy and auto-connecting is seamless. Plus, if the battery does happen to die, the option for wired listening is always available assuming your phone allows it. If you want the best audio quality, use the included 3.5mm cable. Jabra’s proprietary DSP provides a fairly clear sound especially considering how affordable the headphones are. Bass response is appropriate and mildly exaggerated while mids are clearly relayed. That said, because these are on-ear headphones, it’s easy to get an improper fit. In order to benefit from the technology packed inside these cans, you need to make sure the ear cups are evenly on your ear and sealed to it. If the headphones can’t isolate you from the environment due to a poor fit, bass and clarity are severely degraded. Since these are on-ears, a proper fit is difficult to get. If a proper seal isn’t formed, the bass response may be less than the chart depicts. When properly wearing the headphones, isolation is quite good for an on-ear model. In the Greeting Committee’s song Pull It Together, vocals seem more perceptible than bass frequencies, which is unusual for a pair of consumer headphones. The 1.5kHz spike aids in producing prominent vocals, which is great for indie and acoustic music. At 0:10, and throughout the verse, a kickdrum underscores Addison Sartino’s voice, never masking it. This is refreshing since I’ve become so accustomed to general-purpose headphones exaggerating bass instruments to an insulting degree. Highs also come through clearly; skip ahead to 2:47, when the tambourine shakes back into the song. It’s impossible to miss its presence, but the Jabra Move Style Edition cans refrain from making it distracting. Rather, it remains a complement to the rest of the band in the song’s final moments. Should you buy the Jabra Move Wireless Style Edition? The Jabra Move Wireless Style Edition is elegantly designed and a great option for most consumers. If you can overlook the lack of high-quality Bluetooth codec support, yes. These headphones tick all the boxes for a pair of daily use cans. They’re sleek, lightweight, produce clear sound, and are affordable. Plus, within the category of on-ear headphones, these are exceptionally comfortable, likely due to their 150-gram weight. If you’re still unconvinced or need on-ears that will be comfortable with glasses, the Bose SoundLink On-Ear Wireless headphones take the cake. 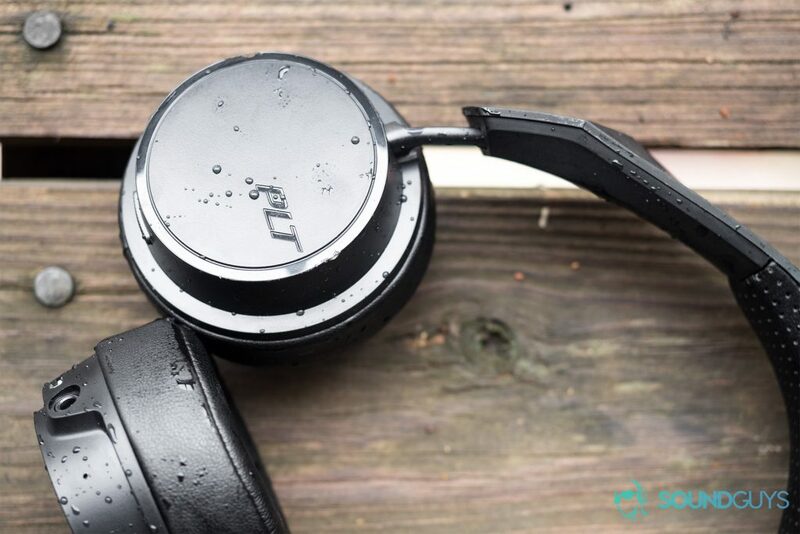 As we know, Bose is revered for its plush, featherweight products and the SoundLink On-Ear Wireless follows suit. If that still isn’t satisfactory, we have a whole list of standout on-ear headphones. Designed to inspire, built to last Clean Scandinavian design meets crisp digital sound. Get a perfect fit with the ultra-light, comfortable headband. Choose from four modern colors: Cayenne (Red), Cobalt (Blue), Coal (Black) and Gold.